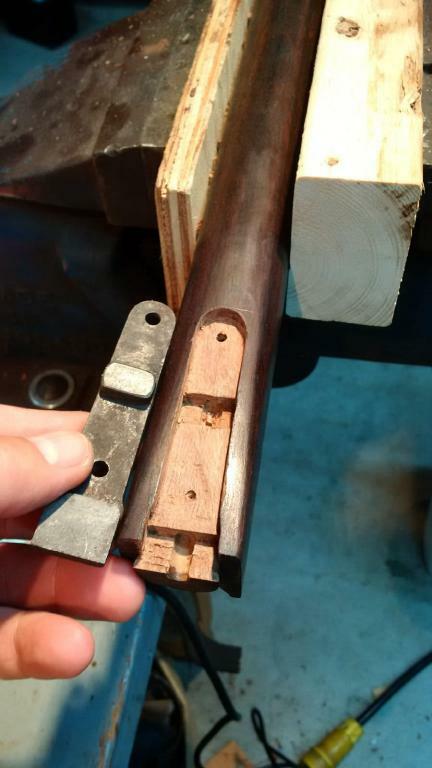 Hi folks, thought I'd share this one with you, simply given the fun I had inletting the forend to receive the metal tab (or "hook"). 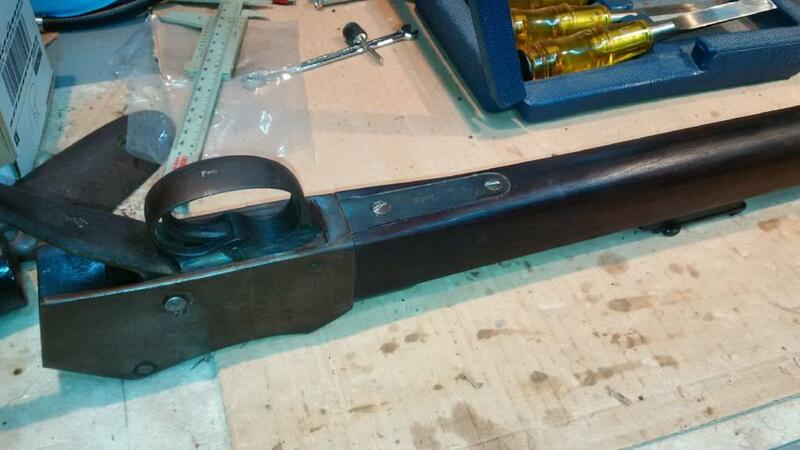 The India-made forend came rather "naked" - it required inletting both for that hook, and for the semi-hexagonal shape of the barrel at the knox. 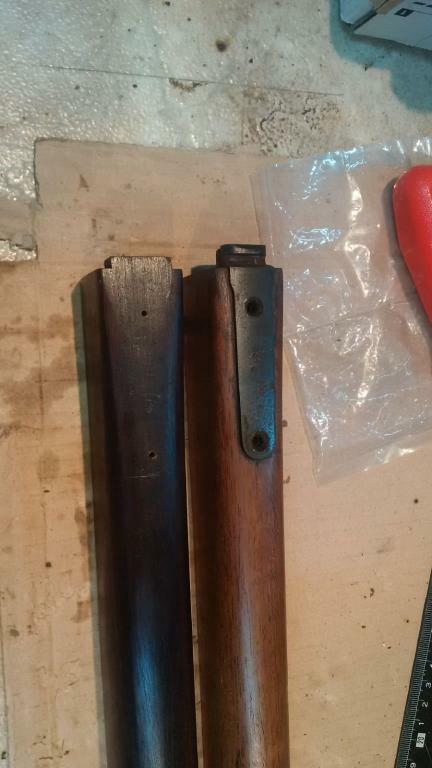 I started by drilling the two screw holes on the new forend, to make sure I was going to draw out the profile of the metal hook in the right spot. 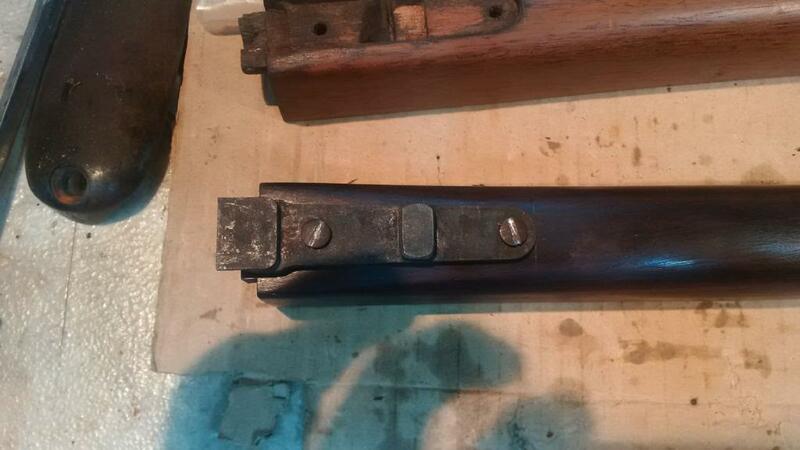 i screwed the hook upside down to get a flat contact with the forend, to mark the contour. I figured that doing all the inletting by hand was going to be time consuming and, given my hand carving skills, the result would probably end up unsatisfactory. 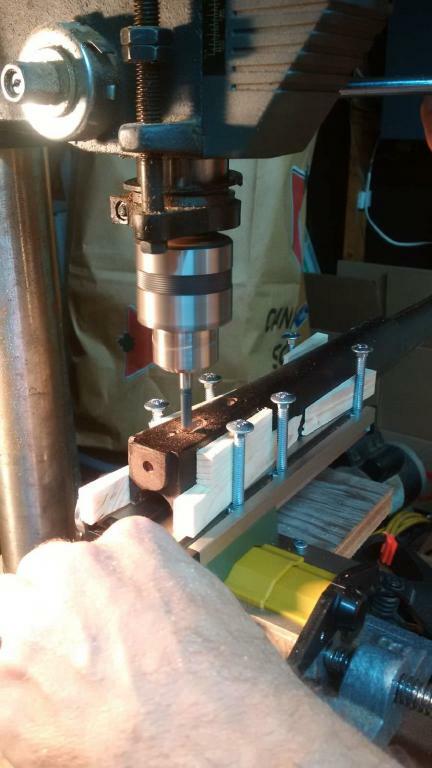 What I needed was a milling machine. But, have you seen the prices on such tools? In this picture I had just started. 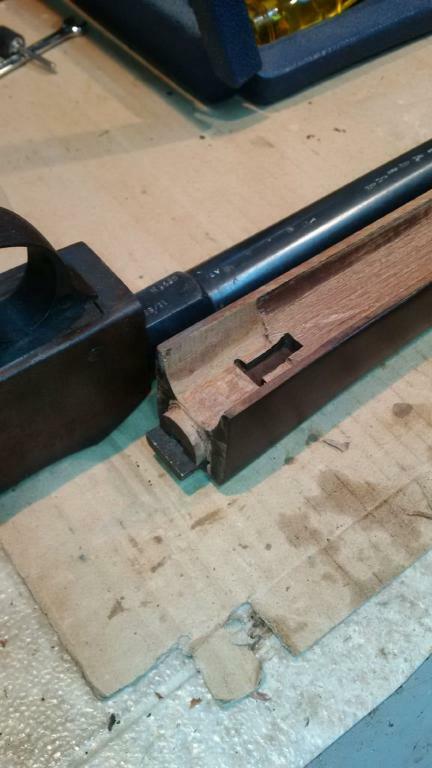 The clamping of the forend is a rather... "homemade" affair but, it worked. Almost. 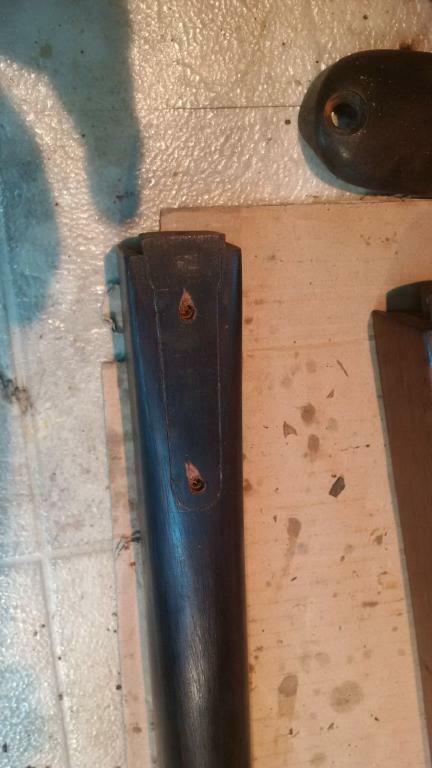 After I started the forend began creeping upwards. So I made a simple cross-member between two of the screws. You can see it in the following picture. After that, final inletting was done with chisels. I'm pretty sure I saved some time, and it was fun too. Good work Lou! 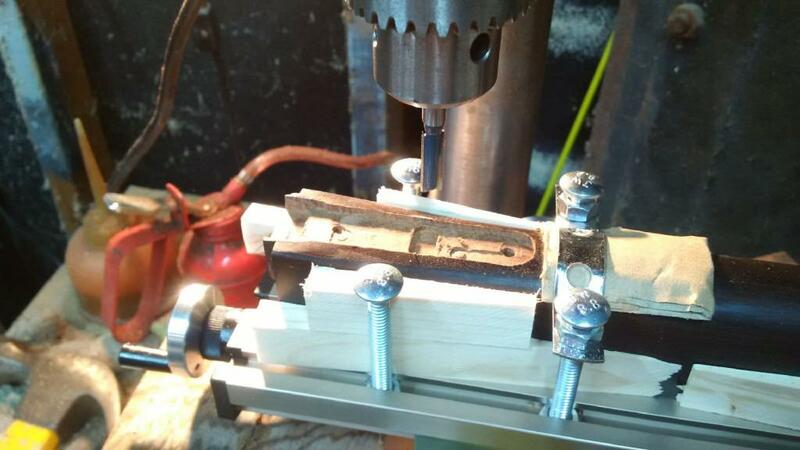 And now that you've made the investment in the milling table, you will have to tackle a few more projects! A few more pics, almost done. 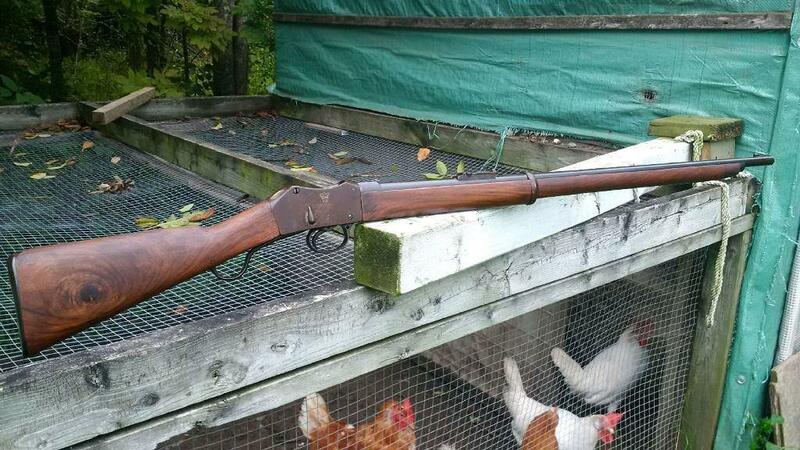 Missing a front band, and a screw to install the small cap at the tip of the muzzle. 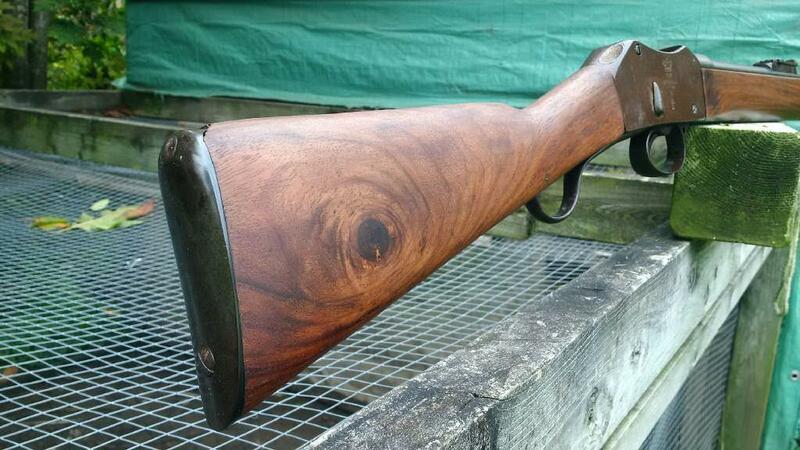 The grain of the wood is decent (even with the knot in the buttstock). This is typical made-in-India stuff, and it was covered with dark brown stain. 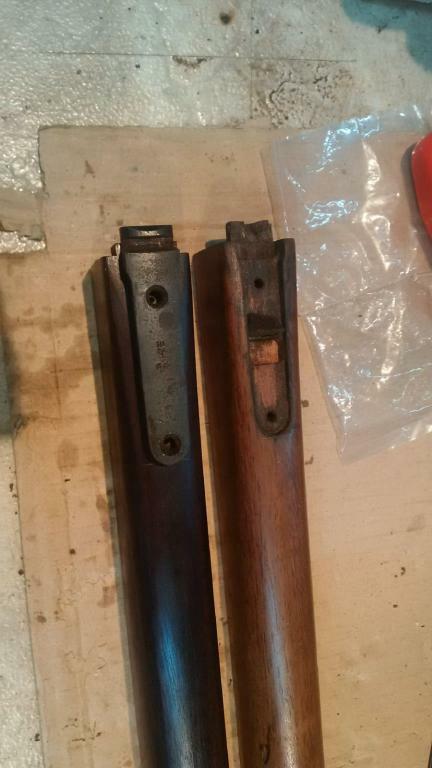 Looks much better after being stripped and refinish with linseed oil in my opinion. 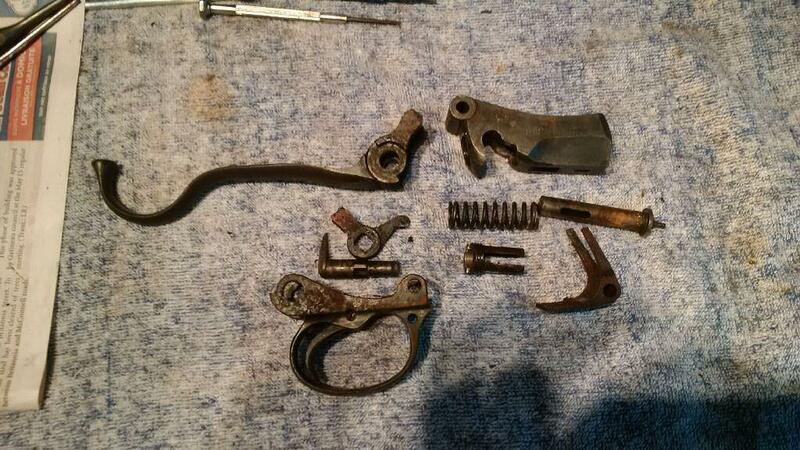 All cleaned and reassembled now. 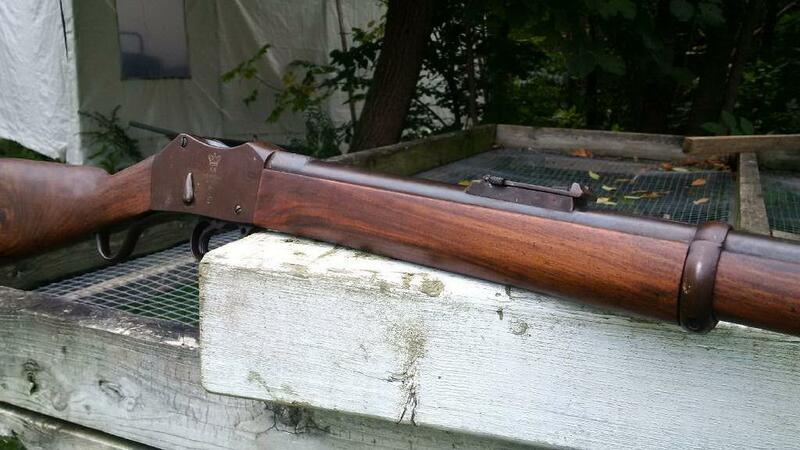 The grain of the wood is decent (even with the knot in the buttstock). Actually, as knots go, that is a splendid example, with the grain swirling round the knot like a galaxy round its core. Polish it carefully and make it a real feature - to be displayed, not hidden! After all, what is burr walnut but a highly decorative form of "knottiness"? Last edited by Patrick Chadwick; 09-03-2018 at 10:20 AM. I does look great. Gives it character, sets it apart from other Martinis in a crowd for sure. Sadly, it's not mine!! !